Highlights from Tiger Woods' last-16 clash with Rory McIlroy at the WGC-Dell Technologies Match Play. Tiger Woods took his chance to earn bragging rights over Rory McIlroy with a thrilling victory in the last 16 of the WGC-Dell Technologies Match Play. 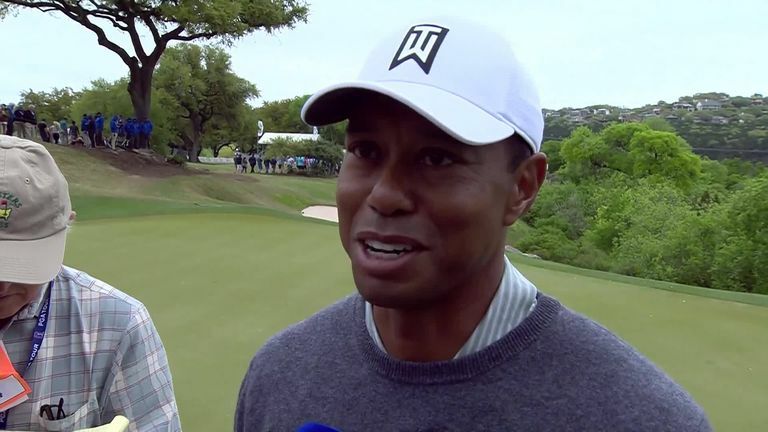 Woods holed a 15-foot putt to save par on the penultimate hole at Austin Country Club to secure a 2&1 win over the world No 4 and book his place in the quarter-finals. 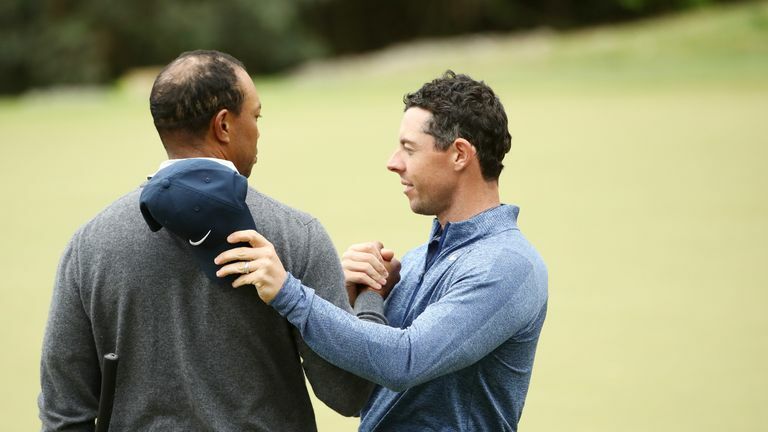 The 43-year-old looked in danger of letting a three-hole advantage slip when McIlroy won back-to-back holes on an enthralling back nine, but Woods held his nerve to secure a last-eight meeting with Denmark's Lucas Bjerregaard. "I played pretty consistent the entire day," Woods said. "I felt like I didn't give him any holes and Rory didn't make any putts today. It was just a tough day all around and I'm happy I advanced." After both players opened with two-putt pars, McIlroy recovered from finding sand twice at the second to convert a 12-footer to save par and then matched Woods' par at the third. Tiger Woods reflects on beating Rory McIlroy and booking himself a place in the quarter-finals. Woods narrowly missed a long-range birdie look at the fourth but chipped to five feet at the next and holed his putt to move ahead, as McIlroy failed to find the target from eight feet. The 14-time major champion extended his lead with a close-range birdie at the sixth and rolled in from eight feet to save par at the eighth, while McIlroy misjudged his effort from a similar distance at the next to stay two behind at the turn. McIlroy missed from two feet on his way to a three-putt bogey at the 10th to fall further behind, only to post a birdie at the 12th and make a five-foot gain at the next to get back within one. The pair exchanged pars over the next two holes before Woods' lead appeared under threat when he found a bunker off the 16th tee and had to lay-up on the par-five. But McIlroy hit a poor chip into rough from the middle of the fairway and was then forced to take a drop after hitting his next effort to an unplayable lie, before conceding the hole after finding the bunker with his next shot. With Woods two ahead with two to play, the American narrowly avoided the hazard off the 17th tee but pitched to 15 feet and drained the par-save putt to confirm his progress. Last year's runner-up Kevin Kisner was the first man through after thrashing Haotong Li 6&5, with the American facing Louis Oosthuizen - who saw off Marc Leishman 2&1 - in the last eight. Francesco Molinari continued his 100-per-cent start to the week by thrashing Ryder Cup team-mate Paul Casey 5&4 to set up a meeting with Kevin Na, who defeated Justin Rose on the final hole, while Matt Kuchar and Sergio Garcia were the other two players to progress.